Giant book was constructed in Chelyabinsk, Russia as remembrance to their warriors struggle during second world war. 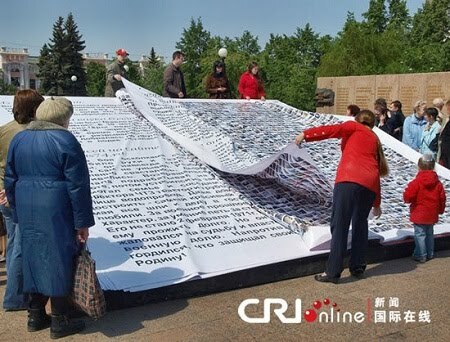 The giant book is 6 meters long, 3 meters wide and about 600 kg in weight. Chelyabinsk warrior book contains pictures of those who died during the Second World War and stories about their struggle for the freedom of Russian Princes.